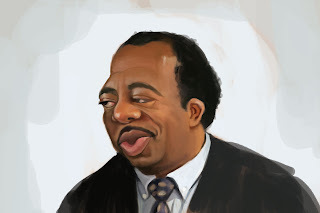 Here is Stanley from The Office...love the show. I wish I could have found a great picture of him doing his crossword but this is the best I could find for a reference. About an hour and lots of fun.